Please join us for the OWADP 2017 Holiday Celebration! Check back soon for additional information. The Steering Committee and any officers who wish to attend will be meeting to transition roles and responsibilities. Current committee members stepping down are Rebecca Friedberg, Carol Mancke, Aziza Zare, and Cynthia Bathgate. New members starting their terms will be Maryam Moayery Nia, Bridget Basham, and Leslie Golden. Conyee Chan, Hannah Chatham, Helen Vasquez, and Spring Friedlander will continue their terms for another year. We look forward to a productive meeting and serving our members in 2018. *Steering committee members met on 12/19/17 at a request from new steering committee member. Join us for an evening with Julia Morgan, as portrayed by historian Betty Marvin. Hear about Julia Morgan’s work, local buildings, life, travels, relationships and even her impact upon Rockridge, specifically through the building of College Avenue Presbyterian Church in 1917. Join other OWA + DP members in kicking off 2018 at the Women's March in Oakland this coming Saturday! Directions: It is recommended that you take BART to Lake Merrit Station and walk to Museum Entrance. Gathering Departure and Route: At 10am the our group will head to Lake Merrit Amphitheatre along Oak Street, turning right along 12th and settling at the NW corner of the Lake Merrit Amphitheatre and March Starting point. We anticipate there will not be any cell phone reception the day of the event. Named one of the top 10 must-see architecture exhibitions to see this year by The Architect's Newspaper! The Open Workshop: New Investigations in Collective Form presents a group of design experiments by Bay Area design-research studio The Open Workshop that test how architecture can empower the diverse voices that make up the public realm and the environments in which they exist. Today, society continues to face urban challenges—from economic inequality to a progressively fragile natural environment—that, in order to be addressed, require us to come together in a moment when what we collectively value is increasingly difficult to locate. The Open Workshop: New Investigations in Collective Form is the third installment of The City Initiative, which highlights architects, designers, planners, and artists creating provocative work in urban environments. The Open Workshop, founded by architect and urban designer Neeraj Bhatia, focuses on the relationship between territory, form, and equity. Some of the OWADP members met and stayed together at the 2018 Oakland Women's March. Let's aim to repeat this good experience at Anita Hills speech! Anita Hill will be speaking March 10 at the Barbara Lee and Elihu Harris Lecture Series. Hill is a professor of social policy, law and women’s gender and sexuality studies at Brandeis University. She became chair of the Commission on Sexual Harassment and Advancing Equality in the Workplace in December. The commission’s focus is on sexual mistreatment and inequality in the entertainment industry. Hill came to national attention in 1991 when she accused U.S. Supreme Court nominee Clarence Thomas of sexual harassment during Senate confirmation hearings. Thomas was her boss at the U.S. Department of Education and Equal Employment Opportunity Commission. Hill will be speaking at 7 p.m. March 10 at the Oakland City Center Marriott Hotel, 1001 Broadway. Her talk is presented by the Martin Luther King Jr. Freedom Center and Peralta Community College District. All are welcome. Free Admission. Please invite your friends and colleagues! OWA, Let's meet up! We'll send a reminder as the date gets closer to see who is interested and set a place to meet! This lecture is presented by Room One Thousand, and it is part of the UC Berkeley Spring 2018 Architecture Lecture Series. Open to the public! Please join us for a talk with Peggy Deamer, Professor of Architecture at Yale University. This talk will focus on the positive implications of understanding the nature of architectural work as WORK. In order to be empowered as a designer, employee, and firm owner, it is important socially, economically, and personally to understand the nature of that work. PEGGY DEAMER received a B.Arch. from The Cooper Union and a Ph.D. from Princeton University. She is a principal in the firm of Deamer Architects. Articles written by her have been published in Assemblage, Log, Perspecta, Harvard Design Review among other publications. She is the editor of Architecture and Capitalism: 1845 to the Present and The Architect as Worker: Immaterial Labor, the Creative Class, and the Politics of Design. She is co-editor of Building in the Future: Recasting Architectural Labor and BIM in Academia. She is the founding member of The Architecture Lobby, a group advocating for the value of architectural design and labor. Her current research explores the relationship between subjectivity, design, and labor in the current economy. AIA Silicon Valley would love to see you join for the Architectural Intelligence Conference next Friday, March 23rd! A limited number of tickets remain! This one-day conference examines some of the most pressing challenges facing our industry and offers expert intelligence on how we can elevate our local communities. The AI 2018 Conference focuses the discussion on Equity + Leadership, Sustainability, and Urbanism in the Silicon Valley. These three session tracks provide specific learning and growth opportunities, while the lineup of exceptional speakers, vendor fair, and networking opportunities will inspire and connect attendees to a larger, far-reaching purpose. Join USGBC Northern California from 5:30-7:30 p.m. on Wednesday, March 28th at Covo in San Francisco's SOMA district. Come to learn, discuss and network with Northern California’s green building experts at this exciting event hosted by USGBC Northern California’s Rising Leaders Committee. This will be a networking event with a panel discussion to showcase a wide range of green building stakeholders and provide the audience with lessons learned, ideas, tips and tricks on how varying panelists navigated their way through their early years in the green building field. Ask your burning questions about how these distinguished panelists have worked their way to top, and leapfrog from their experiences! Includes 1 drink ticket with registration. Edward Dean, Sustainable Building Consultant, Bernheim+Dean Inc, FAIA, LEED AP BD+C, Ph.D. This lecture -- located at the BAMPFA Osher Theater -- is free and open to the public. It is part of the UC Berkeley Spring 2018 Architecture Lecture Series. Doors open at 6pm. We make architecture the same way we interpret the world. Each of us embraces an order of values and principles; how we respect the other is what delineates and marks our idea of space, including our physical interventions. Carme Pinós starts with the concept of ‘universal connection’ where everything is linked; an action rebounds off another, transforming it and generating a new one. Her position is one of dialogue, and she strives to generate this dialogue through architecture. In this sense she sees architecture as a catalyst for relationships, a place of intersections and encounters. Whenever possible, she designs places where movements and routes intersect and exchange, spaces where people identify as part of a community, but also feel they belong to universality. CARME PINÓS set up her own studio in 1991 after winning international recognition for her work with Enric Miralles. Since then, she has worked on numerous projects ranging from urban refurbishments and public works to furniture design. Her sharp approach to design, anchored by a constant focus on experimentation and research, has made her work garner worldwide recognition at the same time that Barcelona architecture has cemented its own identity and reputation throughout Europe and South and North America. Her current projects include the Regional Office of the Generalitat in Tortosa (Spain); the architectural set composed by Gardunya Square, Massana School of Arts, a housing block and the west façade of the popular La Boqueria Market in the Historical District of Barcelona (Spain); and the Masterplan for the historic centre of Saint Dizier (France), where she is also carrying out various interventions in public spaces. Among her most significant completed recent projects are the Departments Building of the Vienna University of Economics and Business (Austria), the Cube II Towers in Guadalajara (Mexico), the Caixaforum Cultural and Exhibition Centre in Zaragoza (Spain), the metro station Zona Universitaria in Barcelona and the Crematorium in the Igualada Cemetery (Spain). Carme Pinós combines work as an architect with teaching, and is actively involved in the development and delivery of seminars, courses and workshops worldwide. She has been guest professor at several higher education institutions, including the IUAV of Venice, Architecture Schools of Paris, the University of Illinois at Urbana-Champaign, the Kunstakademie in Düsseldorf, Columbia University in New York, l’Ecole Polytechnique Fédérale de Lausanne, Harvard University’s Graduate School of Design, Accademia di Archittetura di Mendrisio in Switzerland, Universitá di Roma Tre in Italy, among others. In 2016 she was awarded the Richard J. Neutra Medal for Professional Excellence by the California State Polytechnic University in Pomona, in recognition of her career. She received the 2016 Berkeley-Rupp Architecture Professorship and Prize valuing her contribution to promoting the advancement of women in the field of architecture and her commitment to the community. In 2015 she was honoured with the Creu de Sant Jordi Medal, one of the highest civil distinctions awarded by the Catalan Government to individuals and organisations for their cultural and social services. She received the First Prize at the 2008 Spanish Biennial of Architecture, the National Award for Public Architecture by the Catalan Government in 2008, and the National Architecture Award by the High Council of Spanish Architects. She was named Honorary Fellow of the American Institute of Architects in 2011 and RIBA International Fellow in 2013 for her outstanding contribution to architecture. Her work has been widely exhibited in several galleries, museums and universities. The Centre Pompidou acquired the scale models of the Caixaforum Zaragoza in Spain, the Hotel Pizota in Mexico, and the Maison de l’Algérie of Paris. The model of the Cube I Tower currently belongs to the collection of New York’s MOMA. In 2012 Carme Pinós launched OBJECTS, a collection of products designed, produced and commercialized by her own studio. Come and check out long time OWA member and Professor Galen Cranz' work. Free and open to the public! How the Body Makes Marks is an exhibition of student drawings collected by Professor Galen Cranz since 2008 to analyze the relationship of somatic experience to drawing and design. Professor Cranz has taught social-cultural approaches to architecture in CED for over four decades. Here, she has evolved a specialization in Body Conscious Design and gathered most of the drawings on display. 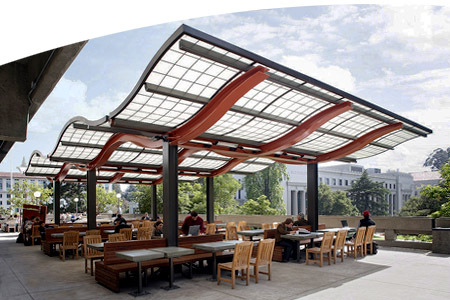 This coming May, she will celebrate her retirement from 43 years of teaching in the Architecture Department at UC Berkeley. This exhibition documents the contributions of past and present students to Body Conscious Design's expansion as a field of architectural research and creativity. Curated by Chelsea Rushton. Dr. Galen Cranz, Professor of Architecture at UC Berkeley, is a sociologist, designer, and certified teacher of the Alexander Technique (a system of body-mind postural education). She studies the social-cultural components of environmental design, including how the body meets the environment, a new subject she has called Body Conscious Design. She provided a critique of the practice of chair sitting from a somatic point of view in The Chair: Rethinking Culture, Body and Design. She also studies post-occupancy effects of designs on users, the role of urban parks, and taste as a communication process in design. Chelsea Rushton holds an MFA in Visual Art from the University of Calgary and is certified at the 500 hour level as a yoga instructor. Her creative research focuses on the intersections of art, ritual, and spirituality, and the ways in which creative process can document and facilitate personal and collective growth and evolution. She is the developer and instructor of Art of the Soul: Creative Process as Spiritual Practice, a special topics lecture, seminar, and studio course that profiles 20th century modern and contemporary artists who engage in art-making as a method of spiritual inquiry and practice. Please join us for a casual mixer at Farley's East in Oakland! Come meet this year's steering committee and administrators, ask any questions you may have, give any feedback for the organization, and most importantly mingle with the older and newer generation of OWA members in a casual setting! Special promotion: Bring a non-member to the mixer and they will receive a discounted coupon when they sign up to become a member that day! Some Snacks and refreshments from Farley's East will be provided and others for purchase. For all the Community Design / Social Justice members: The Open Architecture Collaborative, SFNOMA, Designing Justice + Designing Spaces, and ADPSR - Architects / Designers / Planners for Social Responsibility (USA) are co-hosting a social event. Come learn about the new initiatives and see what's going on locally. The launch of the DJDS Concept Development Fund, which will seed the development of buildings that address the root causes of mass incarceration and support low income communities of color. Open Architecture Collaborative’s Pathways to Equity program, which will train young designers on a path to equitable community engaged design practice. We will announce the national pilot that will take place in the Bay Area. SFNOMA will reveal its Triple-E 2018 Policy that wraps its arms around the Whitney M Young and Max Bond legacies. Whitney called for Architects to address the needs of the least and Max responded with the successful Architects Renewal Committee of Harlem. We continue to build on strong foundation. SFNOMA is Education and Expertise Embedded into holistic community planning and environment design. SATELLITE OF. LOVE is thrilled to announce the upcoming exhibition, Distorted Symmetries by Alison Pebworth, opening Saturday, May 19th, 2018 at Incline Gallery. The solo show by the San Francisco based artist features a new body of work using interchangeable sculptural assemblages for a site-specific installation throughout the ramps of the twisting gallery space. Alison Pebworth responds to the unique architecture of the century-old former mortuary with her own reflections on loss, impermanence and mortality by transforming materials she rescues from the San Francisco dump. Looking for cultural clues in the things we throw away, Pebworth relates the abundance of wasted natural woods to the many idealized facsimiles of nature that flow continuously through the waste stream. She builds totems to these disparities, combining new geometric shapes cut from old boards, contrasting fresh cuts and worn surfaces with deconstructed household ephemera to reflect the contradictions of the sacred and profane, evidenced in the simultaneous adoration and disregard of nature in our trash. Please join SATELLITE OF. LOVE at Incline Gallery for this stimulating solo exhibition Distorted Symmetries by Alison Pebworth, May 19th through June 15th 2018. How can drawing from different layers of the brain affect the design process in architecture? How might built environments, and users’ experiences of them, change when architects design with and for the whole body? Join Galen Cranz and Chelsea Rushton for an evening of live drawing to explore how different brain states can affect drawing and design processes in architecture. Together, we will discuss incompatibilities of contemporary architectural elements on our bodies, engage in a somatic exercise to expand awareness of the body and its intelligence, and utilize somatic awareness in drawing practice to re-vision conventional elements of the built environment in ways that more fully accommodate our physical selves. This workshop is informed by Cranz’s published research on drawing and somatic experience (JAPR Winter 2014) and the recent exhibition, curated by Rushton in UC Berkeley’s College of Environmental Design, of drawings Cranz has collected as research data since 2008. Refreshments and snacks will be provided. The book will be available for purchase at the event! Making Places for People explores twelve social questions in environmental design. Authors Christie Johnson Coffin and Jenny Young bring perspectives from practice and teaching to challenge assumptions about how places meet human needs. The book reveals deeper complexities in addressing basic questions, such as: What is the story of this place? What logic orders it? How big is it? How Sustainable is it? Providing an overview of a growing body of knowledge about people and places, Making Places for People stimulates curiosity and further discussion. Christie Johnson Coffin practices architecture in the Western Unites States and internationally in Taiwan, India, and Nicaragua, with a focus on social design for health-care and research laboratory buildings. She is also author of Changing Hospital Environments for Children. Jenny Young teaches design and human factors in design. Her research on small town development focuses on the roles public buildings play in town stability and vitality. Her architectural practice includes consulting on schools, libraries, clinics, and designing residential projects. Four Free AIA & IES Accredited Educational Seminars! On June 28, 2018 from 12pm-8pm, IES SF's Light! Design Expo returns to the beautiful Pier 27 on San Francisco's Embarcadero, with its beautiful panoramic views of the San Francisco Bay and waterfront. This exciting annual architectural lighting and design expo attracts a wide range of design professionals and is the only architectural lighting products show in Northern California. Light! Design Expo's product showcases and educational seminars are specifically geared toward the lighting design and specification community: lighting designers, architects, interior designers, engineers, building owners, facilities and maintenance teams, school districts, municipalities, contractors and more. The Expo features complimentary cuisine from local San Francisco food truck stations and dessert carts and a no host bar from 12pm-8pm. Featured guests to help ground the conversation to take place over lunch. Attendees will be invited to express themselves with color provided by Dunn-Edwards, helping to produce a mapping of the discussion throughout the day. Join OWA+DP Members in a guided tour of the new Sufism Reoriented Sanctuary in Walnut Creek. After more than half a century in temporary quarters, Sufism Reoriented now has a permanent home in Walnut Creek, California. Designed under the guidance of Murshida Carol Weyland Conner by the distinguished architectural firm of Philip Johnson Alan Ritchie, the new sanctuary is set among serene gardens on three acres of land in a suburban neighborhood about twenty-five miles east of San Francisco. Begun on May 24, 2012, the sanctuary’s construction was completed in 2017. The Hayward Police Department is hosting a 5-Day Basic CPTED (Crime Prevention Through Environmental Design) training course. When: August 27th through 31st. Location: The class will be taught by Instructor Art Hushen, President of The NICP, Inc. in Hayward, CA. CPTED strategies are ideal for Architects, Security Consultants, Educators, Law Enforcement Officers, City Planners, City Managers, City Council Members, Architects, Security Consultants, Educators or anyone involved in designing neighborhoods, schools, downtowns, buildings, or revitalization efforts. It is an effective way of fighting crime and promoting business. Please see the flyer and program registration. Please feel free to contact me if you have questions. We're just weeks away from opening the doors to The Wing SF! To celebrate, we're popping up in the Mission District on September 15th and 16th. Join us at the woman-owned Marigold flower shop for a day of drinks, treats, blooms, and learning what Wing membership is all about. Check out the evenbrite page. For more info, check out The Wing. CCA will be hosting a lecture tonight. Please join! Gabriela Carrillo Valadez was graduated with honors from the Faculty of Architecture at UNAM where she has been an academic since 2003. Since 2001 she has been collaborating with Mauricio Rocha till 2011 when they created Taller | Rocha + Carrillo |. Among their most representative projects is: School of Plastic Arts and San Pablo Academic and Cultural Center in Oaxaca, Library for blind and visually impaired people in Ciudadela, recently the Criminal Courts for oral trials in Pátzcuaro Michoacán, the Deans Building School of Commercial Banking, and Cuatro Caminos Photo Museum in Mexico City. In 2016 she worked for the exhibition "The Great Animal Orchestra" at the Cartier Foundation in Paris and the Pavilion for Hermès at the furniture fair in Milan. She has given lectures, workshops and postgraduates in different universities in Mexico, USA and different countries in South America. Magazines, books and exhibitions nationally and internationally have published and highlighted her work which has been awarded in national and international competitions such as the Biennial of Mexican Architecture, Iberoamericana and Panamericana. In 2012, the Faculty of Architecture from the UNAM awarded them with the Federico Mariscal Chair, the highest recognition of this Maximum House of Studies for professional practice, as well as the Emerging Voices Award in 2014 by the Architectural League of New York. Last year she was honored with the international award promoted by English publications: Architectural Review and Architects Journal as "Architect of the Year 2017". 2018 will be our 30th year hosting the OWA+DP retreat and one of the 45th Anniversary Year Events. We are pleased to invite you to this year's memorable OWA+DP 45th-anniversary retreat at the beautiful Westerbeke Ranch. Enjoy an amazing 3 day weekend of fun, arts & craft, great food, workshop, fitness, music, dancing, connecting with other amazing women professionals and more! In the face of persistent social inequities worldwide, how can architects make a meaningful contribution? Housing’s primary position in our lives, economies and the built environment makes it a natural site of intervention in the complex fight against systemic injustices. Bringing together housing experts from New York, Kigali, and the Bay Area, this program examines how housing projects, and the design processes behind them, can be interventions towards greater social equity. The event also marks the launch of the volume of Architectural Design (AD) of the same title, edited by Karen Kubey. opportunities to bridge between the academy and practice for women architects, designers and students of all ages. She curated, organized and participated in Feminist Practices, an international group of women designers and architects whose work engages feminist methodologies which was published as an edited book, Feminist Practices: Interdisciplinary Approaches to Women in Architecture by Ashgate in December 2011. Her most recent book Contested Space: Abortion Clinics, Women’s Shelters and Hospitals investigates how legislation affects politicized and securitized spaces was published in June 2013 by Ashgate. of the American Institute of Architects and an associate professor of architecture at Syracuse University. Calling OWA + DP Community! Please join us for the annual business meeting on 10/16. We will review the budget from this past year, pass the new budget, hold elections for new steering committee members, and discuss 2019 programs. Food and drink provided. Attendees will automatically enter to win a free year's membership! Amanda Williams: PRACTICE or Holding Space for ______. Join us for an evening with Amanda Williams. residue of the invisible policies and forces that have misshapen most inner cities. Williams's installations, paintings, video, and works on paper seek to inspire new ways of looking at the familiar, and in the process, raise questions about the state of urban space in America. the School of the Art Institute and has previously served as a Visiting Assistant Professor of Architecture at Cornell University and Washington University in St. Louis. She lives and works on Chicago's south side. of drawings and pictures, along with AR will be at the center of the discussion. imagination. And such collective imagination has to be continuously trained. Elena Manferdini, principal and owner of Atelier Manferdini, has over fifteen years of professional experience in architecture, art, design, and education. She graduated from the University of Civil Engineering (Bologna, Italy) and later received her MAster of Architecture and Urban Design from the University of California Los Angeles. AIA San Francisco Equity by Design (EQxD) Committee is proud to present our 5th Symposium, #EQxDV - Voices, Values, Vision, on Saturday, November 3, 2018 from 8:30 – 5:00 pm at the San Francisco Art Institute. the oft contradictory paradigms of architecture's recent social turn. The lecture will introduce the studio's exploratory methods, which with measured optimism aim to transform contextual susceptibilities into collective affordances. teaches architecture and urban design, while concurrently directing the Michigan Architecture Preparatory Program. Join us to celebrate the opening of Now What?! San Francisco, and build an archive of activism over the last 50 years! Alive and Adaptive: OWA+DP | 45 Years - SPECIAL EVENT FOR MEMBERS! Everyone is welcome to join OWA members from across the years at a reception to entertain the question "Now What?!" surrounded by the context of the history of activist organizations. 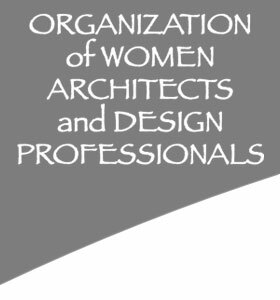 Sparked in a context of feminism, the Organization of Women Architects and Design Professionals has annals of actions recorded in 45 years of newsletters and an extensive current and historical website. Although many early members hold the more activist organizing years as dear, the changing members have adapted the activities of the organization to their needs. *** RSVP required, as space is limited. Please RSVP here. This event is a part of the exhibition, Now What?! Advocacy, Activism, and Alliances in American Architecture since 1968, an exhibition by ArchiteXX. Now What?! is the first exhibition to examine the little-known history of architects and designers working to further the causes of the civil rights, women’s, and LGBTQ movements of the past fifty years. The exhibition content, conversations, and stories will inspire a new generation of design professionals to see themselves as agents of change by looking at the past to see new ways forward. Curated by Lori Brown, Andrea Merrett, Roberta Washington, and Sarah Rafson. Project management by Point Line Projects. Find out more about the exhibition at nowwhat-architexx.org. Join us for the OWADP 2018 Holiday Celebration!! The party is free but members are invited to RSVP by the end of the day Friday December 14th to get the ticket here. Ticket will be required for entry. Each member can bring only one guest. Similar to previous holiday seasons, OWA will support Hamilton Family Center. Established in 1985, Hamilton Families is San Francisco’s leading service provider to homeless families, with carefully designed programs to prevent homelessness, provide shelter and stability, return families to permanent housing and support the well-being of children experiencing homelessness. This year, we are honored to have been matched with two families! Please click on the Wishlist to sign up for a gift you'd like to purchase and bring to the holiday party! Guidelines are included in the link provided. Looking forward to seeing you on December 16th! Kick-start 2019 at the Women's March in San Francisco, under the OWA+DP banner. Directions: The closest metro/BART station to the Rally & March lineup area is Civic Center/UN Plaza station. The closest metro/BART station to the end of the March is either Embarcadero station or Montgomery station. Please note: we anticipate rain and that there will not be any cell phone reception. Also, a friendly remember to renew your OWA+DP membership for 2019. Join the University of San Francisco for an evening with Cheryl Haines, founding executive director of FOR-SITE, as she speaks about her experiences presenting thought-provoking artwork in non-traditional public spaces. Haines’s curatorial work challenges us to reexamine how we think about place, while emphasizing the role that artists play in fostering dialogue about the environment and human rights. Current and past site-specific installations and exhibitions include Andy Goldsworthy’s Spire, Wood Line, and Tree Fall in the Presidio; @Large: Ai Weiwei on Alcatraz, Ai Weiwei’s transformation of Alcatraz Island, and group shows in former military batteries and chapels. From sanctuary to freedom of expression, FOR-SITE’s projects address important cultural issues that resonate on both a personal and collective level. Presented by the University of San Francisco’s Department of Art + Architecture, Museum Studies Program, Art History/Arts Management Program and Thacher Gallery in conjunction with Quiet Spaces: Picturing Sanctuary in the Illustrated Book and in celebration of the gallery’s 20th anniversary season. The Bay Area is not alone in experiencing a Housing Crisis, and building more low-income units of quality, is paramount. Could Factory OS, a new venture between Rick Holliday and Larry Pace, help in this effort? Factory OS, located on Mare Island in Vallejo, is hoping to revolutionize wood construction of multi-family/ mid-rise projects in the Bay Area utilizing factory-built, modular construction. "We’re building more affordable homes, creating local jobs, and funding innovation." Join other OWA+DP members in a tour of Factory OS and see in person, exactly how more efficient and cost-effective modular construction could be and whether it is suitable for your next project. The tour is limited to 20 people and given the remote location, car pooling will be arranged. Please use the link below to the Eventbrite page for additional details and to register for the Tour. Registration will close 12noon on Tuesday 26th.